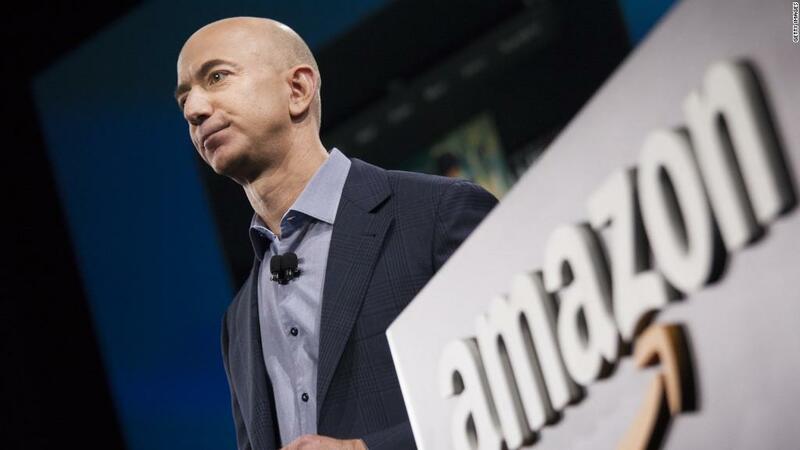 Two months after a damning New York Times story about Amazon's corporate culture, the retailer has published a blistering response, accusing the paper of misrepresenting the company. The Times responded with a tough, unwavering defense of its story and its reporter. At the moment, Amazon is getting the last word with a rebuttal to the paper's rebuttal. The original August 16 piece concluded that Amazon's many breakthroughs and innovations come from a "bruising workplace." It bruised Amazon, and in recent weeks the company has been privately punching back, lobbying The Times to "correct the record." "They haven't, which is why we decided to write about it ourselves," Jay Carney, Amazon's senior vice president for global corporate affairs, wrote in a Medium blog post on Monday morning. Carney was a journalist at Time magazine for two decades and later became President Obama's chief spokesman. He joined Amazon earlier this year after a brief stint as a CNN political analyst. Carney said the Times failed to vet some of its sources and he shared internal records about ex-employees to buttress his case. A few hours later, Times executive editor Dean Baquet responded with a Medium post of his own. He reiterated his support for the story and said the outpouring of reaction to its reporting "leaves no doubt that this was an accurate portrait." Baquet emphasized that more than 100 current and ex-employees contributed to the story, which received the newspaper's most prominent possible placement -- the front page of the Sunday edition. Carney answered Baquet with another post on Medium Monday afternoon. "The bottom line is the New York Times chose not to fact-check or vet its most important on-the-record sources, despite working on the story for six months. I really don't see a defensible explanation for that failure," Carney wrote. He added at the end of his post, "Reporters like to joke about stories and anecdotes that are 'too good to check.' But the joke is really a warning. When an anecdote or quote is too good to check, it's usually too good to be true." The revelations spurred a conversation that continues to this day about work-life balance inside Amazon and other big companies. In Amazon's initial volley on Monday morning, Carney detailed the employment history of Bo Olson, a former Amazon employee who was quoted in the article as saying "Nearly every person I worked with, I saw cry at their desk." The story said Olson "lasted less than two years in a book marketing role and said that his enduring image was watching people weep in the office, a sight other workers described as well." This vivid quote contributed to the overall impression of Amazon as a difficult, demanding place to work. But according to Carney, Olson's "brief tenure at Amazon ended after an investigation revealed he had attempted to defraud vendors and conceal it by falsifying business records. When confronted with the evidence, he admitted it and resigned immediately." He asked, "Why weren't readers given that information?" and questioned the editorial process at The Times. Baquet responded by saying that "if we had known his status was contested, we would have said so." But he also said that Olson "disputes Amazon's account of his departure." After Carney's blog post came out, Olson told the Times that he "was never confronted with allegations of personally fraudulent conduct or falsifying records, nor did he admit to that." Carney, however, replied, "As for Mr. Olson, the record quite simply backs up what I wrote." Carney also published an email from the lead reporter of the story, Jodi Kantor, and implied that she misled the company's executives about her intent. "The article she specifically said they were not writing became the article that we all read," he wrote. Baquet defended Kantor, saying the newspaper had "reviewed notes from Ms. Kantor's communications with your team" and found that "the topics discussed relatively early on included Amazon's reputation as a difficult place to work, social cohesion, complaints of a culture of criticism and other worker concerns that were emerging from the reporting." By the looks of Baquet's response, the newspaper has no plan to publish an editors note or a clarification.